Ford of Europe made a Q2 pre-tax operating profit of $322 million, up from $57 million during Q2 2009. Ford of Europe reported a big rise in quarterly profit despite a steady decline in unit sales during the three-month period. The division made a second-quarter pre-tax operating profit of $322 million, up from $57 million during the same period last year. The result is well above the $107 million profit the European unit made in the first quarter. In June, Ford of Europe's sales fell for the third-consecutive month, down 8.3 percent to 118,800 units. After six months, the U.S. automaker's registrations were down 3.9 percent to 716,900 vehicles in the company's main 19 European markets. A key reason that Ford made the big year-over-year increase in its second-quarter European profit was because it had to spend much less on rescuing suppliers, the company said without being more specific. Auto production in Europe was slowed or stopped in early 2009 due to the global economic slowdown. The ripple effect left many suppliers on the brink of financial collapse. Automaker's were forced to bailout or, in some case, buyer suppliers to ensure that parts deliveries would not be interrupted. Government-sponsored scrapping programs launched last year in key European markets such as Germany and Italy re-energized the industry, leading to a strong surge in sales and production the second half of last year. Ford has warned that it expects its 2010 sales in Europe to decline because of the end of scrapping incentives and because it will not use deep discounts to maintain volumes achieved in 2009. Ford said Friday that its second-quarter profit in Europe would have been even stronger had it not faced unfavorable net pricing in the market. Earlier this month, Ford of Europe head of sales and marketing Ingvar Sviggum said that since the scrapping programs ended in places such as Germany, Italy and the UK, some rivals have been offering discounts of 30 percent to 50 percent. 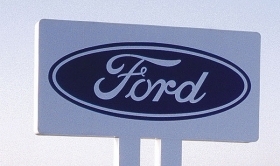 Ford has said it is ready to sacrifice sales and market share in Europe to concentrate on profits. In its main 19 European markets, Ford expects a full-year industrywide volume of 14.5 million to 15 million units as the stronger-than-expected first half is offset by a weaker second half. Ford Motor Co. reported a second-quarter profit of $2.6 billion thanks to the contribution from Europe and because of rising U.S. sales. Ford earned $2.1 billion on automotive operations, compared with a year-earlier loss of $1.1 billion on that basis. “We delivered a very strong second quarter and first half of 2010 and are ahead of where we thought we would be despite the still-challenging business conditions,” Ford CEO Alan Mulally said in a statement. “We remain on track to deliver solid profits and positive automotive operating-related cash flow for 2010, and we expect even better financial results in 2011."